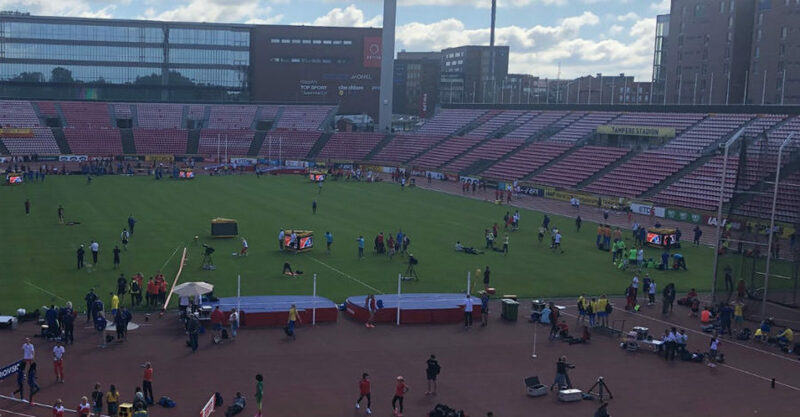 TAMPERE, Finland — The following is the schedule for the sixth and final day at the IAAF World U20 Championships Tampere 2018 on Sunday, July 15. Live streaming coverage will begin at 1:30 pm local (5:30 am ET) and there are nine finals remaining. In total, there will be six track finals and three in the field. IAAF Radio and YouTubeand the IAAF’s Facebook page will have live audio and video stream of the championships again, while there are live daily blogand live result updates. Action on Day 6 will open with the women’s high jump and this will be followed by the women’s 100m hurdles at 5:35 am ET. The men’s discus throw will take place at 5:40 am, while the women’s triple jump is scheduled to go off at 6:00 am. On the track, the men’s 3000m steeplechase, women’s 1500m and men’s 800m are the individual track finals, while the championships will conclude with the men’s and women’s 4x400m relay races.